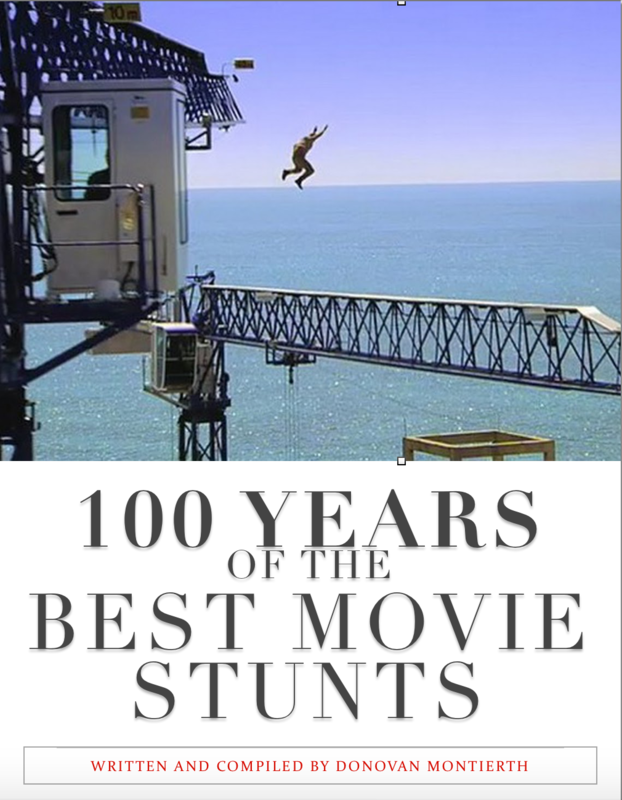 The future versions of this list will be a decade list of the top stunts of every year as listed in the book, 100 Years of the Best Movie Stunts. 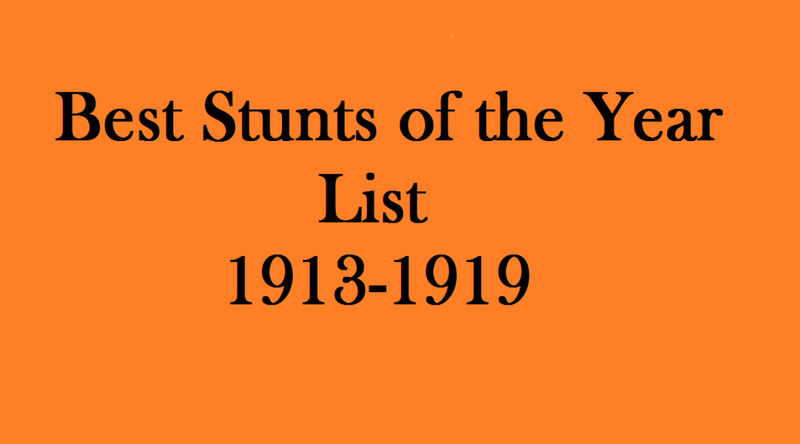 Since this is the first list, it will start with the first year listed in the book 1913 and move to the end of that decade of film. 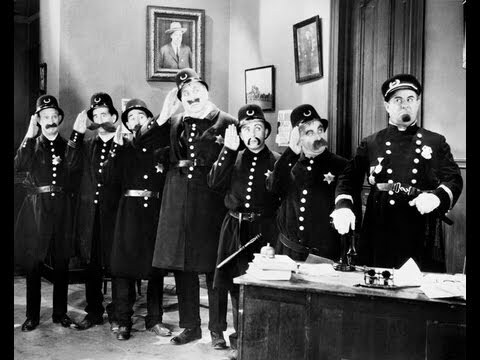 This is really the first real Keystone Kops short film, and for back then has some impressive stunts, like a series of explosions that follow a car as it weaves down a dirt road. There are a few pratfalls as well. Film is so new at this point that companies were still wondering if they could make money in this medium. A few breakout hits made people realize that film could be a great new business proposition and little mini-studios started popping up in southern California in a place called Hollywoodland. The rest is history. Women seemed to be ruling the action films in this period and one of the hottest stars/stunt performers of the time was Pearl White. This was one of her biggest serials, and the one that would remain a classic for a new type of cliffhanger series with a chapter being presented to theatre-goers weekly. 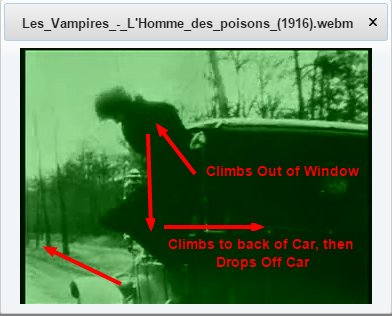 Musidora would be considered the first Femme Fatale and a damn good stunt performer in her own right. This was one of the first crime serials and she was a stand-out as one of the bad guys. Most of her stunts are done while wearing a skin-tight nylon body suit. Her bruises must have been massive. 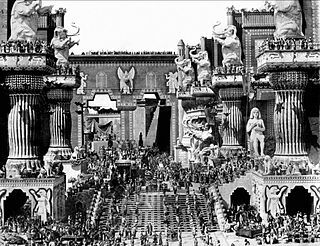 DW Griffith’s Intolerance is as grand spectacle as anything to ever have been put on film and is widely considered to be the first cinematic epic. The actors themselves do all the stunts and they are massive, with hundreds if not thousands of people on screen at the same time doing incredible battles. It’s impressive. 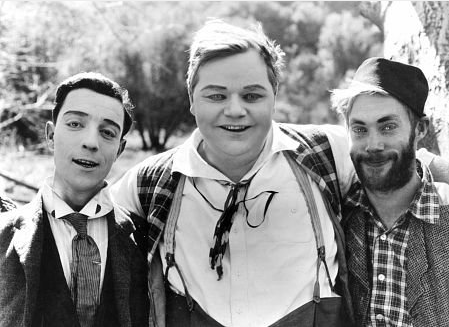 Sometimes the simplest stunts are the best, and nothing showcases this better than a stunt about 10 minutes into the film where Buster Keaton gets smacked by Fatty Arbuckle and he backflips over a table and lands in a chair with his feet propped up, reading a book as if he’d been there all along. Simply brilliant. 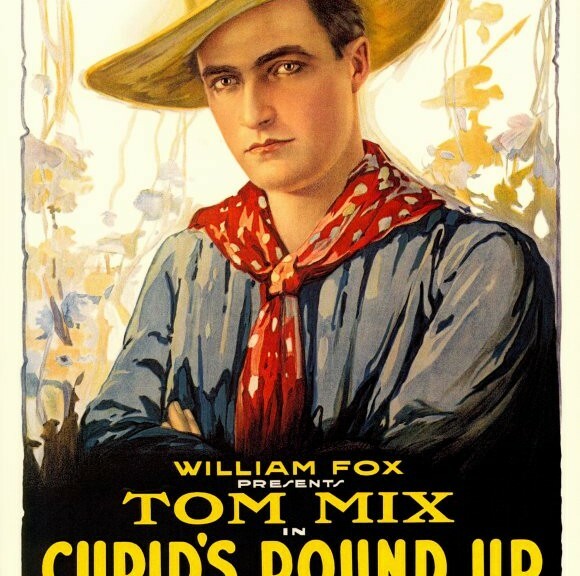 Westerns really started to grow in popularity and Tom Mix was king of the cowboy serials. This was his first full-length feature film and showcases a stunt that he would repeat several times throughout his career is different versions. He jumps from his horse Tony through the window of a moving train. 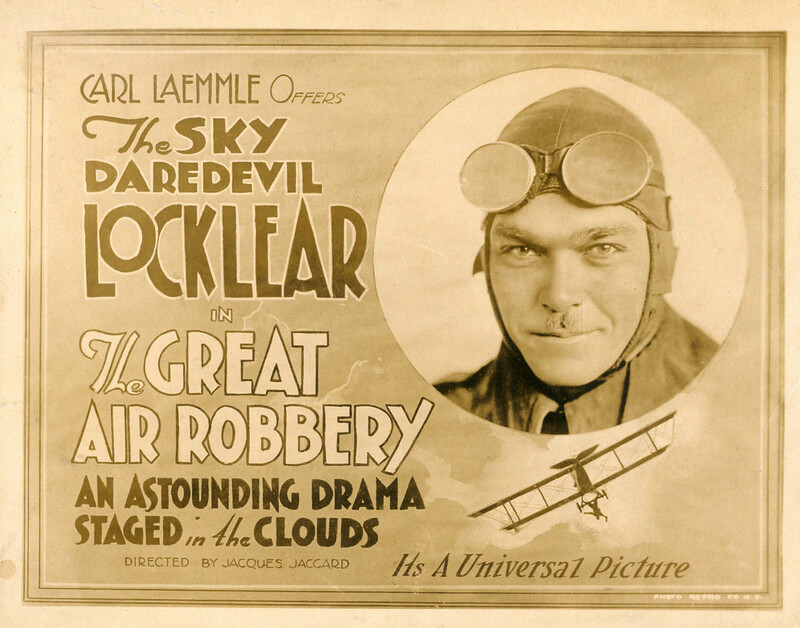 Ormer Locklear was the creator of “wing walking” and this film was produced to showcase his new thrill-seeking techniques. They called him The Sky Dare-Devil. This one is notable because after several years as a successful actor in some popular serials, Tom made his feature film debut in this movie. 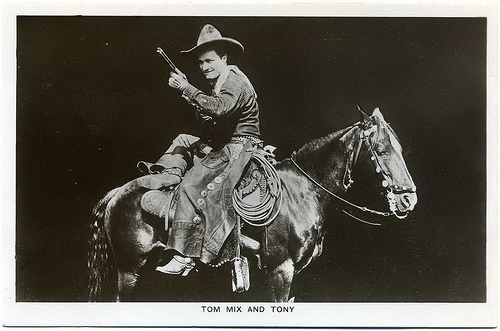 Tom Mix went on to make more than 160 cowboy films throughout the 1920s. These action oriented scripts featured a lot of fighting, riding and stunts by Mix. Heroes and villains were sharply defined and a clean-cut cowboy always “saved the day.” Millions of American children grew up watching his films on Saturday afternoons. 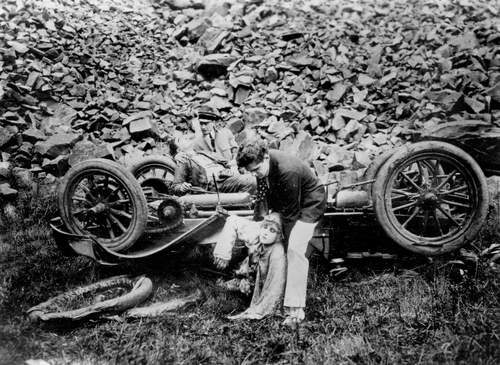 Mix did his own stunts and was frequently injured. 1. Trick Riding – Trick riding refers to the act of performing stunts while riding a horse, such as the rider standing upright on a galloping horse. Other stunts might include hanging upside down off of the side of the horse while attached to a strap or jumping on and off a galloping horse.